The Android platform is increasingly positioning itself as a respectable gaming platform. But although the emphasis often lays on providing stunning 3D graphics, there are still many game types that do not necessarily need this type of technology to be good. For gamblers, and in this case those that like to play blackjack, the Android Market has a lot to offer. The Real Blackjack application is a purely casual game, which seems to be tailored at both beginning and more advanced blackjack players. The game claims to be randomized, but extensive playing showed a very high winning ratio for the player. The game is entertaining enough to fascinate enough in those 10 or 15-minute stretches you have to kill. There are options to really understand the odds involved and even a basic card counting guide. The beginning blackjack player will benefit from real-time advice. 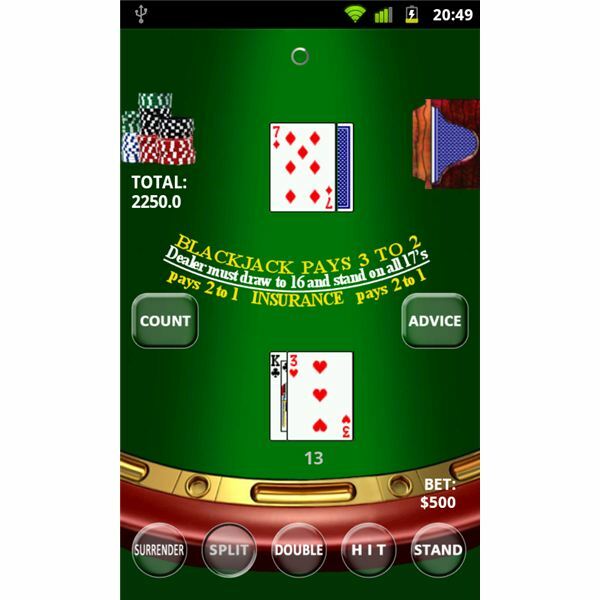 All-in-all Real Blackjack is a good game of its kind, and is available for free in the Android Market. Casino Blackjack obviously did not put too much attention in its looks. However, in this case it does not matter much. As compared with Real Blackjack, the game seems a bit more balanced in its odds. The free version of the application will provide a basic Blackjack game, whereas upgrading to the pro version will unlock extra features, such as Expected Value (EV), Card Counting, Cheat Mode and an X-Ray Mode. Cheat Mode will stack the deck in your favor, whereas with X-Ray mode you can see the dealer’s whole card. These extras make the game an excellent mix of simulation with entertainment, and makes for a very good blackjack application. However, if looks matter too you, this game is better to be avoided. 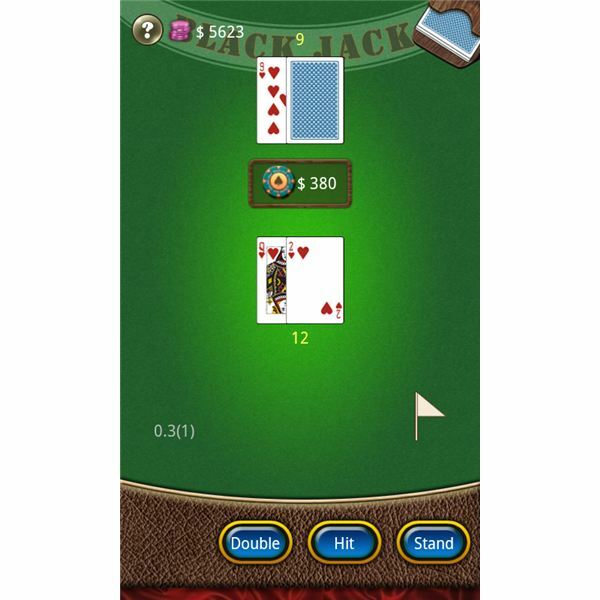 Blackjack 2011 is probably the best compromise between the two previous mentioned Android blackjack applications. Blackjack 2011 has an excellent presentation and you can tell the developers tried to mimic a real blackjack situation (as far as possible on an Android phone). On the other hand, the options are not too extensive, but the odds seem a bit more realistic than for instance ‘Real Blackjack’. The game also supports EV reading and playing suggestions, as well as a good explanation on how to play the game. Overall, Blackjack 2011 is probably the best Android game for the casual, beginning offline blackjack player. Live Blackjack is the first blackjack game in this list that supports an online multiplayer option – at least that claims to do so. Realistically, the multiplayer option is still under construction, but should soon enough be enabled. Login in to play can be done through your Facebook account, or through signing up for a full account with the game itself. The game looks good, and almost has a bit of a cartoony feel to it. The options are fairly basic, when compared to the other three apps mentioned before, but are nevertheless enough to guarantee decent gameplay. The game tries emulate the true casino feeling by limiting the amount of chips you have to play with, but it is fairly simple to earn extra if you run out. Overall this mobile casino game disappoints a bit, when compared to what is promised, but with future updates should still be worth considering. 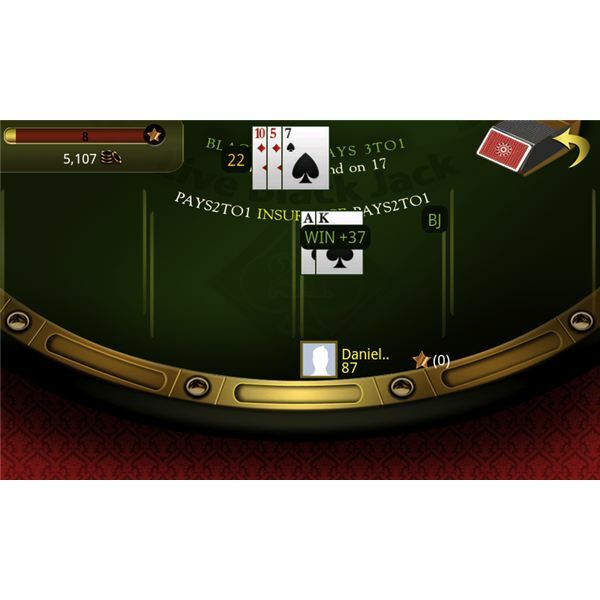 Live Blackjack 21 is the only true multiplayer blackjack game in this list, and implements this online feature rather well. Just like with Live Blackjack, the game connects with either Facebook or its own account. Due to the fact that you are here playing with real players (but still with virtual chips), the ‘casino-feel’ is the best in this game. You can choose which table to sit at, with all tables having different minimum and maximum bets. The game itself is a bit limited and does not offer too many options. However, to play a quick online game, there are more than enough options around for an entertaining session. The game is purely a multiplayer game and a single player mode cannot be found with Live Blackjack 21. 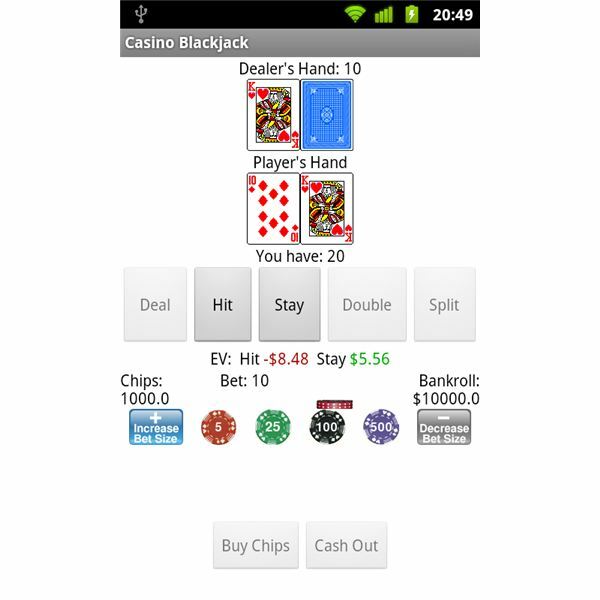 However, as the only real online blackjack game on Android the app is definitely worthwhile. If you are a casual blackjack player that just wants a bit of practice on his Android device, there is not a single application that stands out too much. 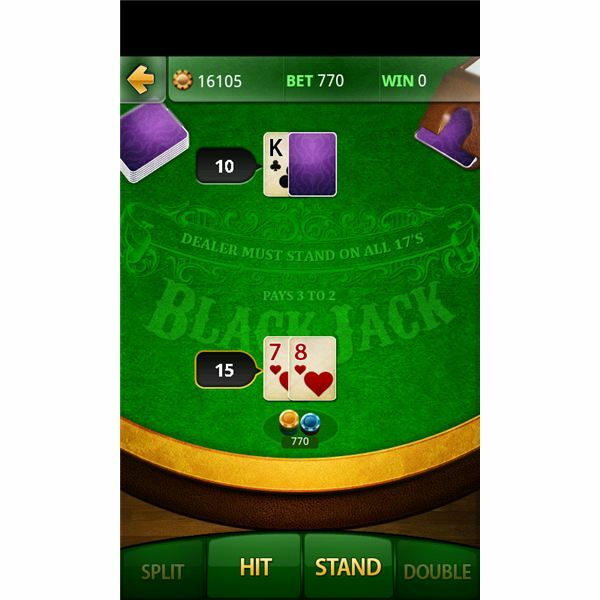 All apps provide a very similar experience and include the necessary features any blackjack player will desire. If you like to play online with other live players however, you will have to stick with Live Blackjack 21. For the best offline experience I would recommend Blackjack 2011, as it is the online application that succeeds into somewhat mimicking the ‘casino-feel’. In any case, it is very hard to go wrong with any of these apps!